The Art of Shaving Pre-Shave Oil helps protect against irritation and razor burn by promoting razor glide and is suitable for all beard types, including men with tough beards. It is formulated with a unique blend of botanical ingredients and essential oils. As the first product created by Cofounder Myriam Zaoui, Pre-Shave Oil softens the beard and prepares the skin for a close and comfortable shave. 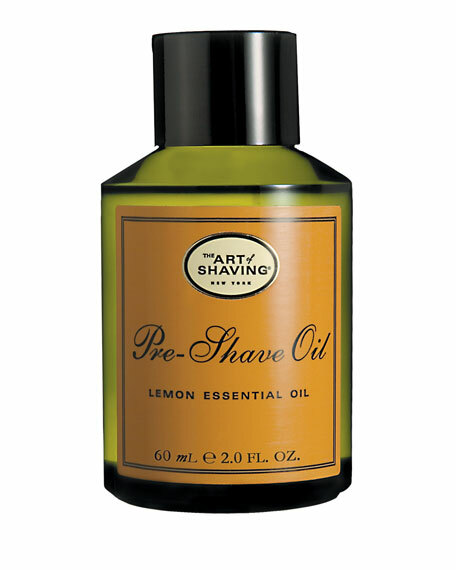 Pre-Shave Oil helps soften the beard hair and helps to protect the skin from razor burn. Pre-Shave Oil creates a protective layer on the skin that helps prevent irritation caused by the razor 'scratching' the skin when passing over it. The protective layer formed by the Pre-Shave Oil increases the glide of the razor across the skin helping provide a smooth shave. For in-store inquiries, use sku #290187.